This collection explores the phenomenon of the messianic in contemporary philosophy, religion and culture. From the later Derrida's work on Marx and Benjamin to Agamben and Badiou's recent texts on St Paul, it is becoming possible to detect a marked `messianic turn' in contemporary continental thought. However, despite the plethora of work in the field there has not been any sustained attempt to think through the larger philosophical, theological and cultural implications of this phenomenon. What, then, characterises our contemporary messianic moment? Where does it come from? And why speak of the messianic now? 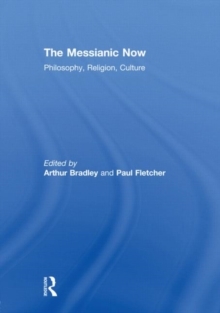 In The Messianic Now: Philosophy, Religion, Culture, a group of internationally-known figures and rising stars within the fields of continental philosophy, religious studies and cultural studies come together to consider what the messianic might mean at the beginning of the 21st century. This book was published as a special issue of the Journal of Cultural Research.